Kids all over Lexington are heading back to school next week (some may have already started). The following health and safety tips are from the American Academy of Pediatrics (AAP). Remind your child that there are probably a lot of students who are uneasy about the first day of school. Teachers know that students are anxious and will make an extra effort to make sure everyone feels as comfortable as possible. Point out the positive aspects of starting school: It will be fun! She'll see old friends and meet new ones. Refresh her positive memories about previous years, when she may have returned home after the first day with high spirits because she had a good time. Find another child in the neighborhood with whom your youngster can walk to school or ride on the bus. If you feel it is appropriate, drive your child (or walk with her) to school and pick her up on the first day. Pack light. Organize the backpack to use all of its compartments. Pack heavier items closest to the center of the back. The backpack should never weigh more than 10 to 20 percent of your child’s body weight. If your school allows, consider a rolling backpack. This type of backpack may be a good choice for students who must tote a heavy load. Remember that rolling backpacks still must be carried up stairs, and they may be difficult to roll in snow. If your child’s school bus has lap/shoulder seat belts, make sure your child uses one at all times when in the bus. If your child’s school bus does not have lap/shoulder belts, encourage the school to buy or lease buses with lap/shoulder belts. Wait for the bus to stop before approaching it from the curb. Do not move around on the bus. Check to see that no other traffic is coming before crossing the street. Make sure you walk where you can see the bus driver (which means the driver will be able to see you, too). Children should always board and exit the bus at locations that provide safe access to the bus or to the school building. Your child should ride in a car seat with a harness as long as possible and then ride in a belt-positioning booster seat. Your child is ready for a booster seat when she has reached the top weight or height allowed for her seat, her shoulders are above the top harness slots, or her ears have reached the top of the seat. Your child should ride in a belt-positioning booster seat until the vehicle's seat belt fits properly (usually when the child reaches about 4' 9" in height and is between 8 to 12 years of age). This means that the child is tall enough to sit against the vehicle seat back with her legs bent at the knees and feet hanging down and the shoulder belt lies across the middle of the chest and shoulder, not the neck or throat; the lap belt is low and snug across the thighs, and not the stomach. All children younger than 13 years of age should ride in the rear seat of vehicles. If you must drive more children than can fit in the rear seat (when carpooling, for example), move the front-seat passenger’s seat as far back as possible and have the child ride in a booster seat if the seat belts do not fit properly without it. Remember that many crashes occur while novice teen drivers are going to and from school. You should require seat belt use, limit the number of teen passengers, and do not allow eating, drinking, cell phone conversations, texting or other mobile device use to prevent driver distraction. Limit nighttime driving and driving in inclement weather. Familiarize yourself with your state’s graduated driver’s license law and consider the use of a parent-teen driver agreement to facilitate the early driving learning process. For a sample parent-teen driver agreement, click here. Ride on the right, in the same direction as auto traffic. Wear bright-colored clothing to increase visibility. White or light-colored clothing is especially important after dark. Make sure your child's walk to school is a safe route with well-trained adult crossing guards at every intersection. Be realistic about your child's pedestrian skills. Because small children are impulsive and less cautious around traffic, carefully consider whether or not your child is ready to walk to school without adult supervision. If your children are young or are walking to a new school, walk with them the first week or until you are sure they know the route and can do it safely. Bright-colored clothing will make your child more visible to drivers. In neighborhoods with higher levels of traffic, consider organizing a “walking school bus,” in which an adult accompanies a group of neighborhood children walking to school. Most schools regularly send schedules of cafeteria menus home. With this advance information, you can plan on packing lunch on the days when the main course is one your child prefers not to eat. Try to get your child's school to stock healthy choices such as fresh fruit, low-fat dairy products, water and 100 percent fruit juice in the vending machines. Each 12-ounce soft drink contains approximately 10 teaspoons of sugar and 150 calories. Drinking just one can of soda a day increases a child's risk of obesity by 60%. Restrict your child's soft drink consumption. Bullying is when one child picks on another child repeatedly. Bullying can be physical, verbal, or social. It can happen at school, on the playground, on the school bus, in the neighborhood, over the Internet, or through mobile devices like cell phones. Look the bully in the eye. Stand tall and stay calm in a difficult situation. Teach your child how to say in a firm voice. "I don't like what you are doing." "Please do NOT talk to me like that." Teach your child when and how to ask for help. Encourage your child to make friends with other children. Support activities that interest your child. Alert school officials to the problems and work with them on solutions. Make sure an adult who knows about the bullying can watch out for your child's safety and well-being when you cannot be there. Monitor your child’s social media or texting interactions so you can identify problems before they get out of hand. Be sure your child knows that bullying is never OK.
Set firm and consistent limits on your child's aggressive behavior. Be a positive role mode. Show children they can get what they want without teasing, threatening or hurting someone. Use effective, non-physical discipline, such as loss of privileges. Develop practical solutions with the school principal, teachers, counselors, and parents of the children your child has bullied. Tell your child not to cheer on or even quietly watch bullying. Encourage your child to tell a trusted adult about the bullying. Help your child support other children who may be bullied. Encourage your child to include these children in activities. Encourage your child to join with others in telling bullies to stop. During early and middle childhood, youngsters need supervision. A responsible adult should be available to get them ready and off to school in the morning and watch over them after school until you return home from work. Children approaching adolescence (11- and 12-year-olds) should not come home to an empty house in the afternoon unless they show unusual maturity for their age. If alternate adult supervision is not available, parents should make special efforts to supervise their children from a distance. Children should have a set time when they are expected to arrive at home and should check in with a neighbor or with a parent by telephone. If you choose a commercial after-school program, inquire about the training of the staff. There should be a high staff-to-child ratio, and the rooms and the playground should be safe. Create an environment that is conducive to doing homework. Youngsters need a permanent work space in their bedroom or another part of the home that is quiet, without distractions, and promotes study. Schedule ample time for homework. Be available to answer questions and offer assistance, but never do a child's homework for her. If your child is struggling with a particular subject, and you aren't able to help her yourself, a tutor can be a good solution. Talk it over with your child's teacher first. Some children need help organizing their homework. Checklists, timers, and parental supervision can help overcome homework problems. While it may seem obvious that you need to keep paying your bills during the period between a loan preapproval and your settlement date, some would-be borrowers neglect their finances in the excitement of shopping for a Lexington home. 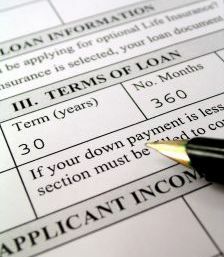 "A preapproval letter is typically valid for 90 days but with the disclaimer that if anything changes with your finances it can impact your preapproval," says Patricia Napgezek, a senior loan officer with Inlanta Mortgage in Brookfield, Wis. "After 90 days, we can do a renewal letter with a recheck of your pay stubs and credit." No. 1: Don't apply for new credit.Mortgage lenders are required to do a second credit check before a final loan approval, says Doug Benner, a loan officer with Embrace Home Loans in Rockville, Md. "If it's just an inquiry, that usually doesn't cause a problem, but if you've opened a new account, then it will have to be verified, and that could delay your settlement," he says. No. 2: Don't make any major purchases.If you buy furniture or appliances with credit, your lender will need to factor in the payments to your debt-to-income ratio, which could result in a canceled or delayed settlement. If you pay cash, you'll have fewer assets to use for a down payment and cash reserves, which could have a similar impact, Benner says. No. 3: Don't pay off all your debt. "Every move you make with your money will have an impact, so you should consult with your lender before you do anything," says Brian Koss, executive vice president of Mortgage Network in Danvers, Mass. 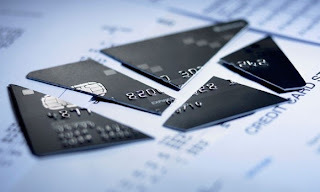 "Even if you pay off your credit card debt, it can hurt you if you close out your account or reduce your cash reserves. We'll also need to know where the money came from to pay off the debt." No. 4: Don't co-sign any loans.Koss says borrowers sometimes assume that co-signing a student loan or car loan won't affect their credit, but it's considered a debt for both signers, especially when it's a new loan. "If you can give us 12 months of canceled checks that shows that the co-signer is paying the debt, we can work with that, but payments on a newer loan will be calculated as part of your debt-to-income ratio," Koss says. No. 5: Don't change jobs. "If you can avoid it, try not to change jobs after a preapproval," Koss says. "Even if it seems like a good move, we'll need to verify your employment and you'll need one or possibly two pay stubs to prove your new salary, which could delay your settlement." No. 6: Don't ignore any lender requests. "If your lender recommends something, you should follow directions and do it," Napgezek says. "You should provide all documents as soon as they are requested, because delaying could potentially delay your settlement." No. 7: Stay current on your existing accounts.Koss says that you must pay all bills on time and make sure you don't have an overdraft on any account. If you have payments automatically billed to a credit card, you should continue that practice. "Your preapproval is a snapshot in time, and you want to make sure your finances stay as close to that snapshot as possible," he says. No. 8: Keep a paper trail of all deposits.Adding to your assets isn't a problem, but you have to provide complete documentation of any deposits other than your usual paycheck, says Joel Gurman, regional vice president with Quicken Loans in Detroit. "Make sure you document everything," he says. "Be proactive and contact your lender if you receive a bonus or if you're cashing in your [certificates of deposit] to consolidate your assets. A good lender can advise you on what you'll need for a paper trail." If you're receiving gift funds, make sure you have a gift letter from your donor. No. 9: Discuss seller concessions. "Even in a sellers market, there's sometimes an opportunity to negotiate help with closing costs," Gurman says. "Your lender needs to know if you are intending to ask for seller concessions or if you get them so that they can be factored into the loan approval. "Make sure you discuss everything with your lender and stay in constant contact throughout the loan process," he says. During the summer months, we spend more time outdoors and run the risk of being bitten by disease-carrying mosquitoes and ticks. Certain species of mosquito carry West Nile Virus and Eastern Equine Encephalitis. The primary carriers of the bacterium that causes Lyme disease are deer ticks. mosquitoes and ticks and ways to protect yourself and your family. 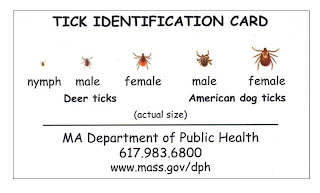 For more information or to receive a free tick identification card please contact Health Director Gerard Cody at 781-862-0500 x 237. Removing brush and yard debris, keeping your grass cut short, and creating a barrier of wood chips or mulch between your yard and woodlands are all ways to help maintain a tick-free yard. 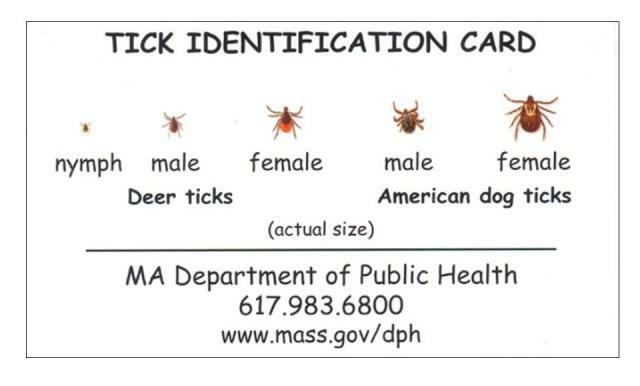 You can find additional information at Center for Disease Control or Mass. Dept. of Public Health. Tips for a Smooth and Efficient Home Buying Experience in Lexington! It’s hard to believe that summer is coming to a close and the busy fall schedule will soon be in full swing! If you’ve been contemplating buying a home this fall, now is a great time to begin thinking about your next steps before the busy season gets away from you. As a Lexington Real Estate agent, I’ve worked with buyers for a number of years and know that the initial thought of the home buying process can seem daunting. Yet, buying a home can be a very smooth and efficient process if you know where to start! Today I wanted to provide you with some key tips that will get your Lexington home buying process off on the right foot and will help you along the way! Take a look! 1. Start Your Search Online- Instead of spending your time searching for open houses or for sale signs, get online to streamline your search. There are many great homes in Lexington which you can view on my Lexington homes website! 4. Find a Great Agent- This may seem easy, but finding an agent that truly knows the Lexington Real Estate market and can show you properties that are right in your price range and meet your style and needs can be challenging. Of course, I’d love to help you in your home search and know that my experience and proven success will make the home buying process an easy one. Bottom line? Do your homework and really research local Lexington Real Estate agents. 6. Have Cash Ready for Closing- You don’t want to be scrambling for funds at the last minute, so be prepared for this important date. A day or two before closing on your Lexington home, you’ll get the final settlement statement, detailing the terms of your loan and all the closing costs. Armed with these tips, you’ll find yourself on the road to a successful home purchase! If you have questions about buying a home in Lexington, would like to learn more about my services as a Lexington Real Estate agent or you’re ready to begin your search; please contact me today! I would be happy to journey with you on this process and ensure you’re in your new Lexington home in no time!